The shoulder is a complex joint, as it’s the meeting place of three bones and a collection of muscles and tendons called the rotator cuff. There’s an astonishing range of motion available from a healthy shoulder as well as significant pain and loss of motion when things go wrong. Dr. Varveris and the physiotherapy team at PhysioNetics regularly see shoulder strains, sprains, and injuries including damage to the rotator cuff, tendonitis and bursitis. They’re trained in multiple techniques to relieve pain and restore shoulders to proper function, even after shoulder replacement surgery. There are 4 major categories into which shoulder problems usually fall. Inflammation or tears to tendons are frequent culprits. This category includes bursitis—the inflammation of the bursa sack—and tendonitis. Often, these conditions occur simultaneously, with bursitis created by wear on tendons. Shoulder dislocations and separations—known medically as shoulder instability—occur when the top of the arm gets forced partially or completely out of the shoulder socket. Not only does the instability cause pain, if the joint receives repeated injury, the supporting tissue may not function as intended. This could result in the 3rd category of shoulder pain, arthritis. But osteoarthritis may develop on its own, typically appearing during middle age. Proper working of the joint through treatment and exercise prevents additional pain and loss of motion. Finally, fractures of the collar bone, humerus or shoulder blade occur, often from falls or accidents. These may cause severe pain and swelling and may contribute to other shoulder pain injuries without proper treatment. Is surgery required to stop shoulder pain? While shoulder replacement surgery provides remarkable results for those with severely damaged joints, as many as 90% of those suffering from shoulder pain respond well to other treatment. Sometimes, minor physiotherapy and changes to body mechanics in day-to-day living are all that’s needed to restore pain-free living. What techniques do Dr. Varveris and her team use to treat shoulder conditions? Along with traditional manual therapy, soft tissue mobilization and manipulation occurs through several types of treatment. Soft tissue oscillation and radial pulse therapy stimulates restoration of blood flow and creates a healing environment. These, along with Graston Technique manipulations can break up scar tissue and adhesions in shoulder muscles. Kinesio Tape, cold light laser and iontophoresis often augment these techniques. Dr. Varveris can also help with a regimen of exercise and lifestyle alterations to prevent recurrence of shoulder pain. Given the high rate of relief possible with shoulder pain, there’s no need to suffer a minute longer. 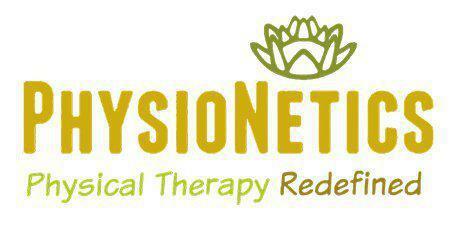 Call PhysioNetics today or schedule an appointment online!